Our many volunteers make a valuable contribution to NFRC. Would you like to join us? Volunteer opportunities are available in many areas including college internships, administration, marketing, events and much more. Please contact Kathy Helt at 410-740-9553 or email khelt@nfrchelp.org for more information. 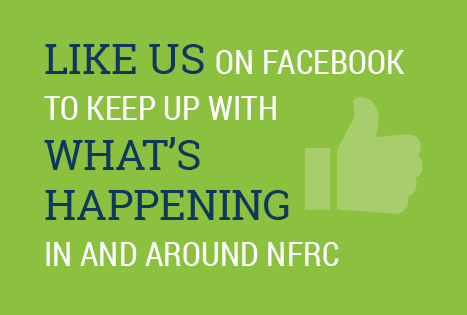 Please spread the word about NFRC. One way is to sign up for our e-newsletter. Another is to like and follow our Facebook page and help share news and events with your circle of friends. 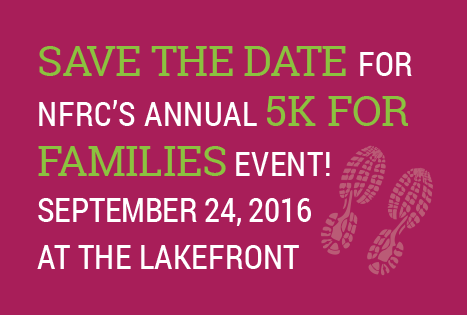 We are currently looking for Sponsors for the NFRC 5K for Families. We are looking for Race Setup and Race Day volunteers on September 18th and on Race Day, September 19th. Please contact the NFRC office today!